That age old question; which came first the chicken or the egg? A paradox which questions which must have come first and one with no real definitive answer. I’m no psychologist after all and this is a D&T blog so I’m simply applying this paradox to that aspect of a design project that always used to aggravate me; which came first; the task or the client? 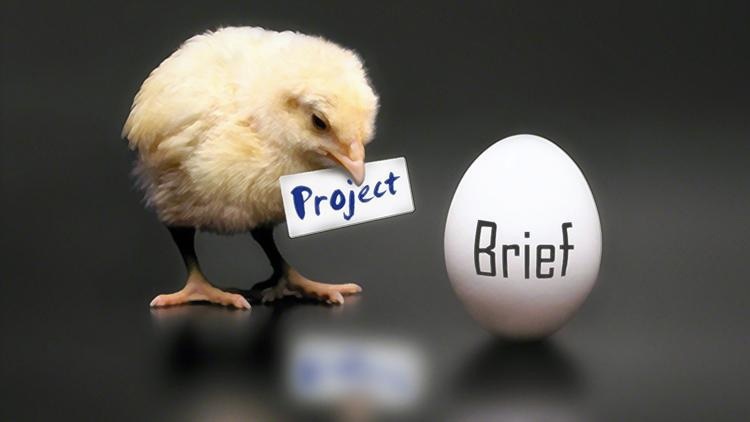 Equally, one might ask was it the project or the brief? We are often advised that, to access higher marks for the project, and particularly the research section, a client should really be identified and, ideally, used throughout the design process up to and including the evaluation at the end. However, I continue to see clients who are ‘conjured up’ in order to suit the task rather than tasks which are created in order to satisfy the needs of the client or target market. Worse still is my ongoing battle with the clearly made up client or member of the target market. I say made up because very few teenagers I know earn £50,000, watch Coronation Street and drive a Range Rover....never mind that they look like one of the ageing Chuckle Brothers! A new curriculum for design and technology is imminent and while I appreciate just how difficult it is to get some kids to actually work, never mind find a client, identify a user or even write a design brief, it's really the teacher's responsibility to ensure made up material doesn't get into the design folder or, god forbid, make it to a moderator who really will have seen this too many times already. Yes, I know the pressures already on teachers to get students through with decent grades and the ongoing battle to keep D&T at the forefront of a balanced curriculum but, trust me, these figments of imagination don't just fail to gain marks...they could actually cost them! The criteria for a design folder is becoming increasingly prescriptive and the need for a more concise and focussed body of design material (what we might still refer to as a portfolio) will be more important than ever. Most teachers are, I am sure, aware of this and I have struggled myself to get any meaningful work out of certain students in some centres but the notion of suggesting/supplying/hinting at an outcome then 'fudging' the design work to somehow 'lead up to' that outcome is not only misleading for assessment but is doing the student a disservice. If you need to use such an approach to maintain the student's interest in the project they have undertaken then perhaps it's time to look at the work being undertaken and if it's designed to suit the centre and the teachers skills and knowledge rather than prepare the student for further study in the field of design; possibly even leading to a career in a design discipline. If students learn that it's OK to make up clients or members of the target market in order to pad out their folder of design work, it will inevitably lead to confusion or difficulty at examination level and beyond. It may even dissuade them from further study once the responsibility of investigating and developing their own design briefs is sprung on them to the cries of "But sir, we never had to do that before; you always gave us a list to choose from!" If it appears that I don't share your concerns or support D&T education you couldn't be more wrong. From beyond the classroom walls I try to support the development of design education on a daily basis but I genuinely believe that design education is often diluted in order to make it more palatable to lower ability students, to fit the resources of the school and to ensure there is enough interest in the subject to deter school leaders from scrapping it altogether from the curriculum. In doing so we simply make a rod for our own backs as the subject will struggle to attain credibility on par with more academic and core subjects. In a modern world dominated by design, engineering and technology, this is a subject that should be core in education. We may lose some students by making the NEA material more demanding by requiring a genuine understanding of the role of the client and the needs of the target market but in the long term we will be giving the subject more credibility and preparing students for a career in the world of design and industry. So please, stop the made up clients and target market and put an end to those who assess your output having to guess which came first; the brief or the project.